Believe it! You can feel better! Everybody is different and what works for you may not work for another. So what works for you? What will get you going and keep you going? Are you a start big with a big plan and lots of details....or a start little and let the ball get rolling downhill to a big ball of success? You do need to see and feel some results and fairly quickly too, to keep you motivated over that first week or two when the change in habits can feel like more effort than the potential outcome. If you are busy in your life, you will need to take some daily commitments away to create the time and space to care for yourself. It takes 3 weeks or more to make a new habit feel regular and easy. Having a plan with a stated goal and method is really helpful. Every serious athlete has a coach and a support system. Self help books and T.V. shows help us gather info but do not individualize our plan, troubleshoot obstacles and keep us motivated through the tough spots. Changing little and big habits is a very courageous thing to do! Here's to you! Have a green tea at 3pm to see you through supper with good energy (if you are not already a big caffeine user). Share your plan with a supportive friend who can care and appreciate you through the tough times. Declare a weekend day for yourself and bow out of your commitments to others ahead of time. Have a day where you make a big vegetable soup (can be with beans and meat too) from scratch and augment with fruit and vegetables. Don't get hungry or thirsty but do avoid flour, sugar/concentrated sweeteners and processed food on that day. Avoid any known foods that aggravate you on that day. If you notice you feel better, then add that day in weekly or string two days together. More importantly, how has that day's eating motivated you to change your daily eating pattern? If you are constipated, simply daily add 2 heaping tablespoons of ground flax to a half cup water. Stir and drink quickly. Of course drink more water and get moving....also eat more food your gut microbiome likes (resistant starch) and a good probiotic! Read about your microbiome and start eating for your healthy family of microbes ( more next week!). Move your Body and feel great. Make this years resolutions stick and change your habits to make 2017 the best year yet. Join us for emotional, nutritional and physical suggestions to make 2017 wonderful. Collagen, why is it important? Collagen is the most plentiful protein in our body. It is found in our muscles, bones, tendons, ligaments, organs, blood vessels, skin, intestinal lining and other connective tissues. Our bodies make collagen, but as we age, our ability of create collagen decreases. This decrease may contribute to wrinkles and thinning skin, stiffer, less flexible tendons and ligaments, weakening muscles, joint pain or osteoarthritis due to worn cartilage. Gastrointestinal problems may also be caused by low collagen levels due to thinning of the lining in your digestive tract. Aside from aging, the top reason people aren’t able to produce adequate amounts of collagen is a result of poor diet. Your body isn’t able to produce collagen if it doesn’t have the necessary elements to make it. We can consume foods that provide us with sources of collagen such as bone broth or collagen supplements in powdered form. But there is another tactic to boosting our collagen levels naturally by eating foods that help our bodies produce collagen. These foods don’t contain the protein itself, but they deliver nutrients your body needs to make collagen. Our bodies make collagen by combining amino acids to for a new protein. When we eat protein-rich foods, such as beef, chicken, fish, beans, eggs and dairy products we provide our bodies with the foundation to build collagen. The production process also requires vitamin C, zinc and copper. Citrus fruits, red and green peppers, tomatoes, broccoli and greens are all excellent sources of vitamin C. Sources of zinc and copper are found in meat, shellfish, nuts, whole grains and beans. Do you know that your genetic makeup is more microbe than human? Each of us contain our own micro biome that lives in our body and helps preform a multitude of functions. According to the human micro biome project lead by the University of Washington: The micro biome is the genetic material of all the microbes-bacteria, fungi, protozoa and viruses-that live on and inside the human body. The number of genes in all the microbes in one person's micro biome is 200 times the number of genes in the human genome. The microbiome may weigh as much as five pounds. This bacteria lives mainly within our digestive system,although it is also found in our mouths and on our skin as well.One of the biggest benefits of having a healthy microbiome is that these organisms living in our bodies to help us digest our food effectively. More and more studies show that the balance or imbalance of bacteria in your digestive system may be linked to overall health and disease. Consuming foods that contain probiotics can help promote a healthy balance of gut bacteria. The benefits of a balanced microbiome include weight loss,digestive health and immune function. An imbalance means there is a strain-specific bacteria lover growth and not enough good bacteria. The imbalance can happen as a result of illness, medication such as antibiotics, poor diet or stress. Eating fermented foods such as yogurt, kimchi, sauerkraut, kefir or miso are all excellent ways to help boost your microbiome. Our immune system is our body’s frontline defense against germs and bacteria. When a foreign invader such as a virus enters our body, our immune system responds by producing antibodies to destroy or attack the virus. When we are run down or our immune system is compromised either through excess stress, poor eating or fatigue our body isn’t able to respond efficiently. Viruses are sneaky. They typically spread throughout the body by getting inside cells with weaken cellular membranes. Once inside the cell, viruses use the cell’s mechanisms to grow and multiply. The virus will replicate and expand until it bursts the cell’s membrane allowing for the replicated virus to circulate through blood or tissues. In order to best protect ourselves from becoming ill, it is important that we feed ourselves a diet filled with key vitamins and minerals which can help boost our immune system’s ability to ward off infections that lead to colds and flu. When we focus on nutrients and healthy habits that help our bodies maintain our cellular wall integrity, we are better equipped to fight off foreign invaders such as viruses. Nutrients that help maintain cell wall integrity are vitamins A, C & E, selenium and essential fatty acids. Foods that are high in vitamin A include: sweet potatoes, carrots, pumpkin, swiss chard and kale. 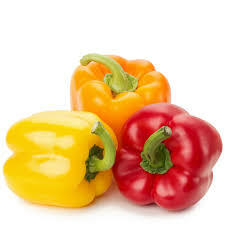 Foods that are high in vitamin C are: peppers - especially red and yellow, broccoli, red cabbage, papaya, kiwi and citrus fruits. Look for vitamin E in nuts and seeds such as sunflower seeds and almonds. It’s no surprise that sugar isn’t a health food. But, did you know that sugar has a very interesting effect on your brain. Studies have shown that not only does excess amounts sugar impair our cognitive skills but it also reduces our self-control. Consuming sugar triggers the reward center of the brain leading to cravings for more sweets. Scientists have proposed that sweet foods can produce addiction-like effects in the human brain leading to loss of self-control, overeating, and subsequent weight gain. This stimulus was once beneficial because it helped our ancestors seek out calorie-rich foods, helping with their survival during times when food was scare, but now this primitive drive contributes to a entirely new set of issues such as obesity and diabetes. Our brains use more energy than any other organ in the human body and glucose is its source of fuel. Our bodies convert most of the foods we eat into sugar or glucose. ‘Good’ glucose comes from complex carbohydrates. Complex carbohydrates are polysaccharides and take longer for our bodies to digest. The other type of sugar we consume is fructose. If we eat this source of sugar in the form of fruits and vegetables, it provides us with vitamins and minerals our bodies need. When we consume fructose in the form of junk food or processed foods we receive no nutritional benefit from our food and the results are harmful to our health. To keep your body and brain functioning at peak capacity watch for hidden sugars. Read food labels – if sugar or any of the other names it goes under are in the first five ingredients, consider avoiding that food. If you do crave something sweet, reach for fruit or be sure to eat your sweet food alongside a serving of nuts or a higher protein option to help slow digestion and reduce the likelihood of a glucose spike. Of course, we all do. If I gave you 2 things that would help you improve your posture would you do them 2x day for 7 days. You brush your teeth 2x/day, right? (well maybe only one but I floss sometimes). Doesn’t your body deserve the same attention your teeth do? Get on with it, right? What are the 3 exercises that will change my posture? I know I said 2 but try these 3 once a day for 7 days and you will be standing taller and feeling better. Purpose: To release the lumbar spine and renew connection to deep core muscles. Starting position: Lying on your back with knees bent hip width apart. Rock your pelvis so that you feel more into your low back then rocking so your low back lifts away from the ground. Purpose: To strengthen abdominal and back muscles. Position: From a side-lying position, bring yourself up onto the bottom elbow. With the shoulder directly over the elbow draw the arm bone back into the shoulder socket. Feel your shoulder blade draw into the spine for support. Stack your hips and bring your spine and pelvis into a neutral position. Let the top leg rest in front of bottom leg. Movement: Keeping hips and ribs square, lift hips into air, reach into elbow and use bottom waistline to lift. Hold for 30 seconds, repeat 3 times each side. Imagery: Reach elbow away from spine and imagine lifting hips from the strength of the lower waistline. Purpose: to mobilize the thoracic spine Position: lying on your back with knees bent, neutral pelvis Movement: With fingertips pointing to the ceiling and hand together lined up with your breastbone, inhale and slowly rotation right getting heavier on your right shoulder blade and lighter on your left. Stay heavy on the left hip. Exhale and come back to center.